Today, Let me tell you how to uninstall Office 2016 for Mac. As we all know, installing applications on our Mac computer is actually easy. However, trying to uninstall them may sound easy but actually, they are not. One of the applications that we tend to install on our Mac computer is the Office 2016 as this kind of applications are one of the useful applications that we use especially if you are a using your Mac for business purposes and school projects. Since there are updated Microsoft Office that has been released then that is the time that we delete the old ones that we have on our computer. Here, we have gathered some ways on how you can possibly completely uninstall Microsoft office on mac without leaving any other files behind so just go on and keep on reading this article. We do this for us to get more storage space and to clean up our Mac computer. If you are wondering about how you can actually completely uninstall Microsoft office on mac, then you have come to the right place. Below are some options on how you can do this for you to be able to install a new Office on your Mac and for you to free up space as well. Yes, it is true that you can remove apps on your Mac by moving the application to your trash. However, if you do this, there are a lot of files that will be left behind like software caches and some other files that are associated with the application that you are trying to remove from your Mac. Also, removing an application that you no longer need will give you the benefit of having more of your storage space and as well as having a better performance of your Mac PC. As we all know, installing apps on your Mac computer is very easy, however, it is a bit complex when it comes to uninstalling them together with the files that they create with them. Good thing we have a software that you can use for you of how to completely uninstall Microsoft office on mac. This tool is the iMaMyc-PowerMyMac (Mac Uninstaller). How Does iMyMac-PowerMyMac Work and How Does It Help You? At some point, you may find a hard time uninstalling apps on your Mac computer and notice that it is way different than trying to remove an app on a Windows PC because some applications on Mac are really stubborn and they are hard to remove or uninstall. However, because of the iMyMac-PowerMyMac program, it will give you an easy way for you to uninstall the applications that you want to get rid of on your Mac. And by removing those unwanted applications on your Mac PC, you will be able to save more of your disk space and speed up your Mac as well. Sometimes, there are instances that you download a lot of applications on your Mac and through time, you will not be needing some of them anymore and the only thing that you want to do is to remove them from your Mac PC. Most people would just drag the application and move them to their trash bin and thought that it was the right way on how you remove an application on your Mac but this is really wrong. Keep in mind that once you just dragged the application to your trash you will be leaving a lot of files that are connected to the app that you just removed like the system cache, app preferences, saved states, and some other files. Now, what the iMyMac-PowerMyMac do is to remove the application from your Mac PC together will all the files that are associated with it leaving you no marks of that specific application. You will also be able to preview all of those files first so that you can select which files should go and not. Totally amazing, right? How to Use the iMyMac-PowerMyMac (Mac Uninstaller)? Now, here is a quick guide on how you can use the iMyMac-PowerMyMac's Uninstaller for you to completely remove your Office 2016 from your Mac PC. Of course, the very first thing that you need to do is to download the iMyMac-PowerMyMac and install it on your Mac PC. You can download the iMyMac-PowerMyMac from our official website, https://www.imymac.com/. After installing the iMyMac-PowerMyMac on your Mac PC, go ahead and launch the software. On the main interface, select the module "ToolKitr" located on the top side of your screen. Then, select "Uninstaller". After choosing the module Mac Installer from the main interface of the program, go ahead and click on the "Scan" button. Once you have clicked on that, the iMyMac-PowerMyMac will then start scanning all your applications automatically. Once the scanning process is complete, you will then be able to see on your screen all the software that in your Mac PC by pressing the "View" button. All you have to do is to locate and choose the Office 2016 application from the list shown on your screen. Once you have selected all the application of the Office 2016, go ahead and hit on the "Clean" button and then confirm the action by clicking on the "Confirm" button shown on the pop-up box that will appear on your screen. The iMyMac-PowerMyMac will then remove all those unneeded applications that you chose and will give you more storage space for your new applications that you are planning to download. This is will also help you speed up your Mac PC. 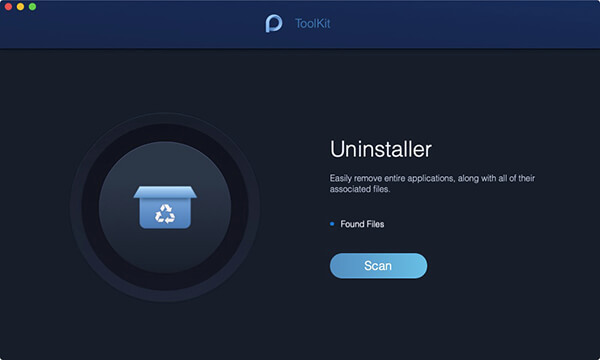 Powerful Uninstall - the iMyMac-PowerMyMac's Uninstaller will quickly and efficiently scan all the software that you have on your Mac PC. Efficient - The program will be able to efficiently delete all the unwanted and unneeded apps on you Mac together with all the files that are associated with the chosen application. Selectively - The program will be able to show you the result of the scanning process. It will show you the size, date, time, and other details attached to software that was scanned by the program. You will also have the privilege to view or the items and then choose the files that you would want to delete from those files that you want to remain on your Mac. 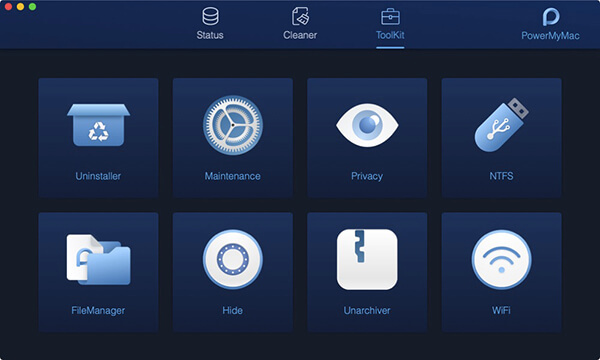 Free to Try - You will also have the privilege to try the Mac cleaner with 500MB. Because of this, you will be able to clean up your Mac for free and will let you experience the powerful feature of the program. We do this because we want you to make sure that the iMyMac-PowerMyMac will do all the job that you need to be done in terms of cleaning your Mac and more. The iMyMac-PowerMyMac program also has other things that can help you in optimizing your Mac PC like cleaning all unwanted files, finding duplicate files and folders, and more. The iMyMac-PowerMyMac program is very easy to use as what has been mentioned above., All you need to do is to download the software on your computer, launch it, scan all the software that you have installed on your Mac and then uninstall it. One thing that the iMyMac-PowerMyMac program is able to do is that it will allow you to preview every file that you are going or deciding to remove from your Mac for you to make sure that you are removing the file or application that you want. This is for you to make sure that you have the right data you want to remove and you can choose the files that you want to keep on your Mac computer. If you want to completely uninstall Microsoft office on mac like your Word, Excel, PowerPoint, OneNote, and Outlook, then all you need to do is to follow the simple guides indicated below. However, for you to do this, you must be able to sign in as an administrator on your Mac and provide a name and a password. Step 2: Command and then click for you to be able to choose all the Office 2016 applications. For you to be able to remove all of your files from your user library folder, what you need to do first is to set the Finder View options. # 2: Go to the Finder menu located at the top and then click on the "View" button and then click "as List". After that, go ahead and click on the "View" button and then choose "Show View Options"
# 3: Once you are in the View Options dialog box, choose "Show Library Folder" and then click on the Save button. # 4: Go back to your Finder and then launch Library and choose Containers. After that, Ctrl + click all the folders and then choose Move To Trash. However, not all these folders can be found. # 5: After that, go ahead and click on the back arrow for you to go back to the previous page which is the Library folder. Once you are back on your Library folder, go ahead and launch Group Containers. After that Ctrl + click each of the folders below if they are present and then Move To Trash. NOTE: Your outlook data will be deleted once you move the folders that are listed above. Make sure that you back them up before trying to move them to your trash. 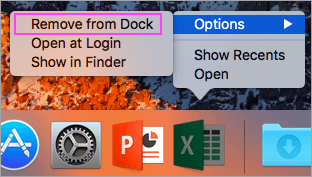 * 1: If you have included any of the Office 2016 tools on your dock, go ahead and click each tool by pressing Ctrl + click them and then choose Options then click Remove from Dock. * 2: Once that you have removed all tools from your dock, go ahead and restart your Mac for you to completely uninstall it. We totally know the concept that installing apps on your Mac is very easy but uninstalling them will take you more time to do it. This is because apps on your Mac PC are really stubborn and it is than those applications that Windows users have. We know the idea is that it is not just moving your application to your trash that will remove those apps completely from your Mac PC. This is because it has a big possibility that it will leave any files associated with that particular app. These are all the reason why we have iMyMac-PowerMyMac's Uninstaller. This amazing program will be able to help you completely uninstall Microsoft office on mac or even all the apps that you do not need anymore. This program is the safest, quickest, and the most efficient program that you can use for you to be able to delete those unneeded apps that are installed on your Mac PC. The iMyMac-PowerMyMac's Uninstaller does not only remove the app that you no longer use but it will also delete all the files that are associated with that application. This is also the best way on how you can free up some of your storage space so that you will be able to install other apps that you really need. Removing apps completely from your Mac PC will also improve your Mac PC's performance. Have this program installed on your PC and you will surely not regret anything.